Stay in Town, get to know San Martín de los Andes!!! 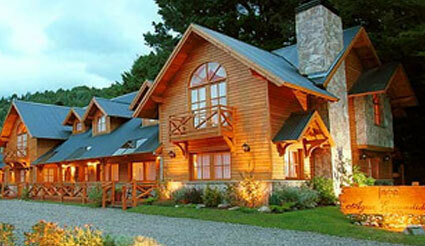 If you choose to fish public waters you will be staying in San Martín de los Andes. This vibrant and beautiful alpine style town is set at the edge of Lacar Lake, which is one of the well known Seven Lakes Road. With charming architecture and plenty of comfortable cabins and hotels, this will be your home when you come back from a day out on the river. Depending on what we have previously arranged for your trip, you will either come back into town or stay camping out on our various-day float trips. The rivers are the same you would fish if you chose to stay in a Lodge but it will take you a little longer to get there. A typical plan will probably include daily float and wading trips, fishing public access waters on famous rivers like Malleo, Chimehuín, Caleufu, Collón Cura, Aluminé, etc. or fishing lakes like Huechulaufquen, Filo Hua Hum or Lolog using motor boats. The other option is a camping trip, for one or two nights, where we will provide all our camping structure, including all the necesary gear for you to have a great time and enjoy this amazing experience. San Martín has many programs which are suitable for all ages. If you or your family wish to take a break from the river there are many things that can be organised. Go trekking, play golf, tour the outskirts of town on mountain bike, spend a day at one of the many lake beaches, take a boat to the far end of Lacar Lake and enjoy the stunning scenery, bathe in water springs just an hour away from town, eat fabulous regional food or delight yourself in one of the many tea houses. Cannoping, rafting, horse riding; you name it and we´ll help you organise it! 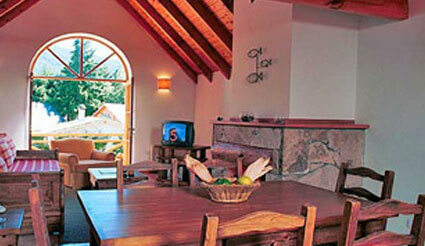 Fully equipped cabins which can fit up to 7 guests. 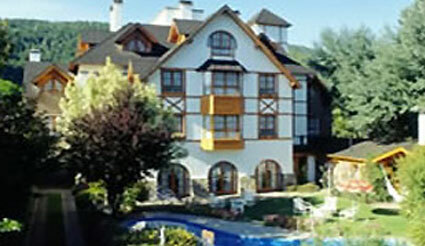 Located in San Martíns most residential area and just a few metres away from Lacar Lake. Services: Access to internet, fax, phone, safety box, baby sitter, breakfast, laundry, etc. 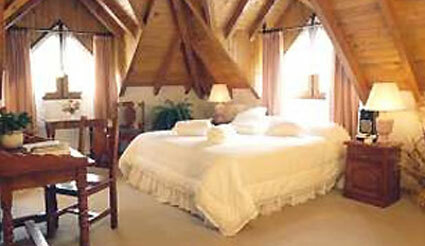 Le Chatelet is a luxurious hotel situated in the heart of San Martín de los Andes. This four star hotel has 32 comfortable rooms and offers sauna, gym, swimming pool, car park, playroom, internet access, cable TV, etc. All these services plus exquisite home made and regional style breakfast are included.